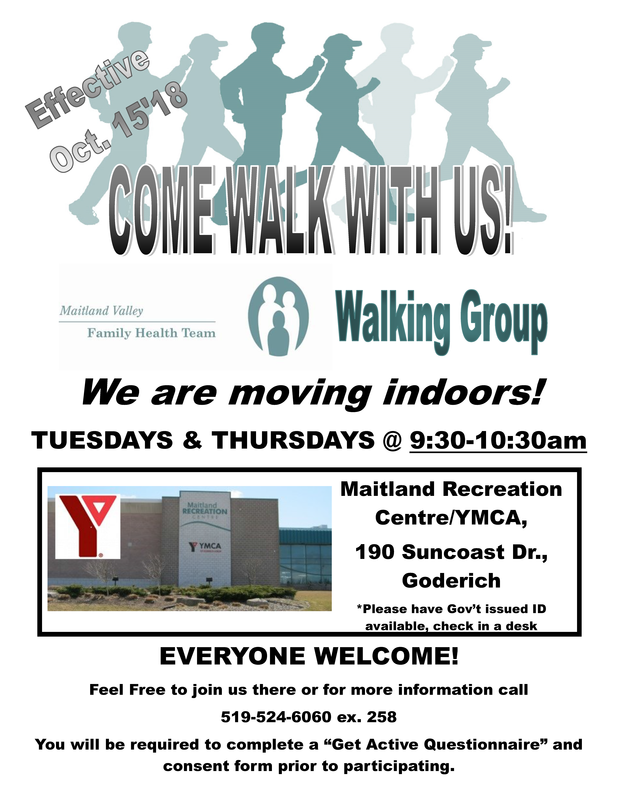 The walking program currently runs every Tuesday & Thursday from 9:30 a.m. - 10:30 a.m at the Maitland Recreation Centre/YMCA. It is open to all rostered and no-rostered patients of the MVFHT. A readiness questionnaire and consent form are required prior to joining and are available on location. You may come out and meet us there or call us at 519-524-6060 ext. 506 for more information.